On Wednesday, January 18th Advanced Center for Eyecare (ACE) and Bakersfield City School District, in partnership with OneSight, will open its first system of school-based vision centers in California presented by Oakley. ACE will be providing comprehensive eye exams as well as the prescribing and dispensing of glasses at the South Chester Partnership, 4th Street Wellness Center, and Center Street Wellness Center. 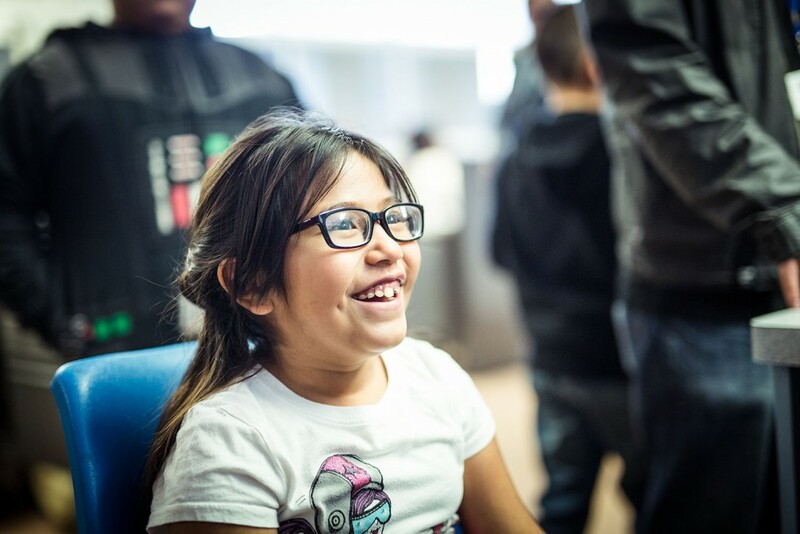 The launch of the school based vision center project in Bakersfield is the culmination of a long-standing partnership between OneSight, the nonprofit founded by Luxottica Group, and ACE. Since 2012, OneSight has hosted an annual vision care clinic to provide eye exams and glasses to Bakersfield students, serving more than 3,600 students over the course of five years. The evolution of this partnership has led to the creation of these permanent school-based vision centers that will provide students with year-round access to vision care. The vision centers are sponsored by Foothill Ranch, CA – based Oakley. The purpose of each center is to keep students in school, healthy and ready to learn. Students will receive care during the school day, without requiring parents to leave work and potentially lose wages. The goal of the partnership is to provide access to all 31,000 students in Bakersfield City Schools over the course of the next two years. The school-based health centers, which currently provide medical, behavioral, and dental care, will be adding vision care services to create a fully integrated health care clinic, one of the first of its kind in California.